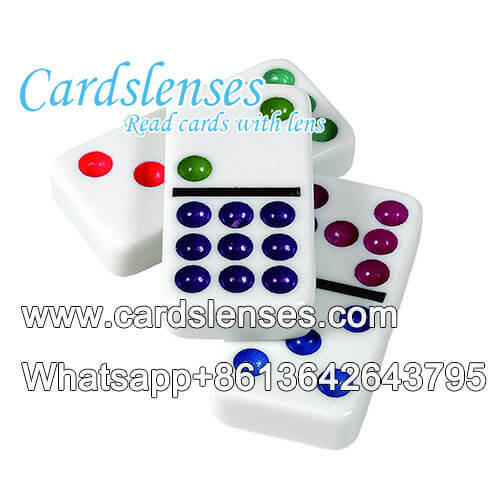 Here, we would like to introduce the luminous ink marked Pai Gow tiles for both infrared contact lenses and UV glasses that see invisible ink. We use the specialized luminous ink to process the professional Pai Gow tiles. After marking, these luminous markings on the processed Pai Gow tiles are invisible to naked eyes; and when you using, the marked Pai Gow will not sticky because they are processed with the invisible ink and giving you the original hand feel just same as the regular Pai Gow tiles. How To See The Invisible Ink Markings On The Juiced Pai Gow Tiles? 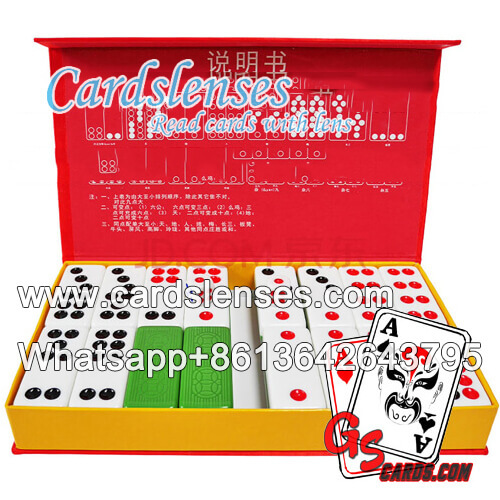 Due to the high confidential of the luminous ink markings on the marked Pai Gow tiles, if you want to see them, our developed professional infrared glasses used to detect invisible ink or invisible ink pen contact lenses is needed. Why Choose Buy Contact Lenses Marked Pai Gow from GS? If you can't find the style you need in the list, please contact our professional sales for more information.